Skiing on or off groomed trails at Millstone is free. Please note that our trails are multi-use; watch out for fat bikers and walkers, and stay to the right on the VAST trail in the Town Forest. We encourage regular users to consider a donation of $50 for the winter season. The trails below are the trails we are currently grooming. 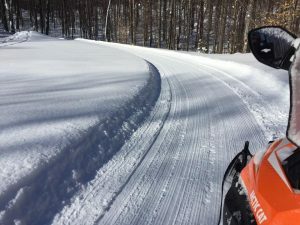 All trails (including ungroomed trails) are normally always open for walking/snowshoeing/back-country skiing; for the full map of the trail system, see this page.